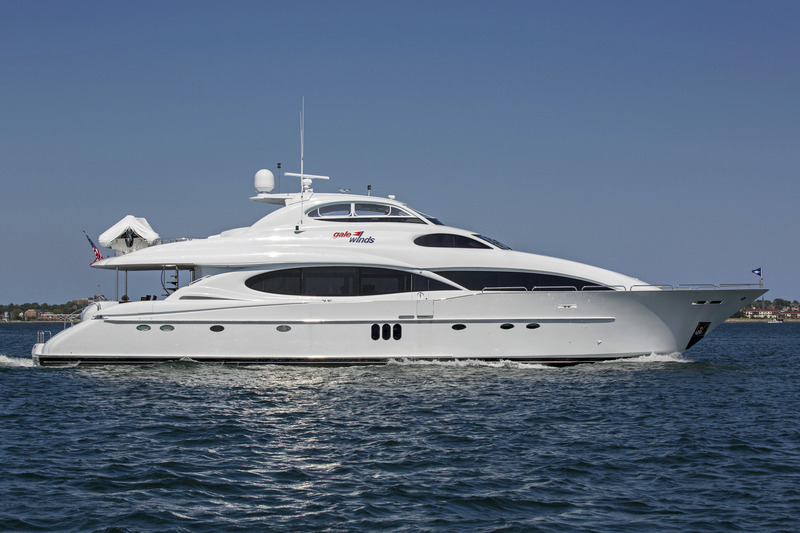 Motor yacht GALE WINDS was launched in 2004 by the Lazzara of Italy and refitted in 2016. 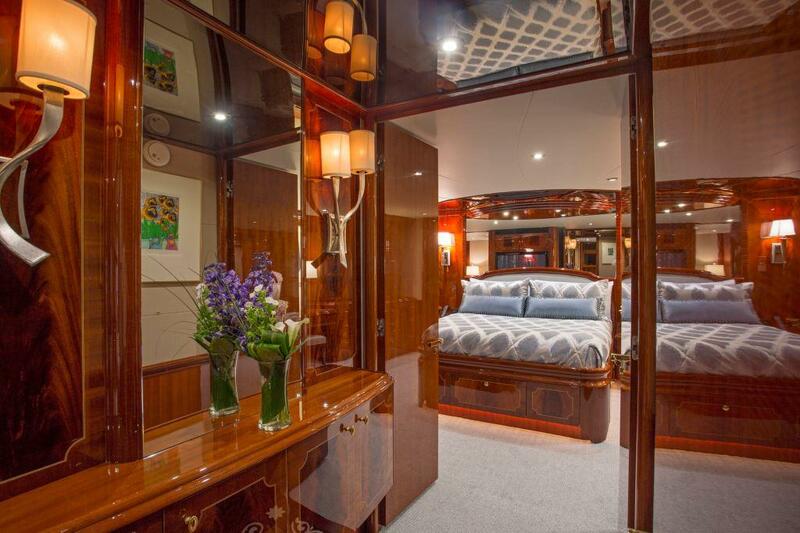 She has an overall length of 32,31m (106ft) and offers accommodation in 4 ensuite cabins, for up to 8 charter guests. The interior decor is refined and elegant. 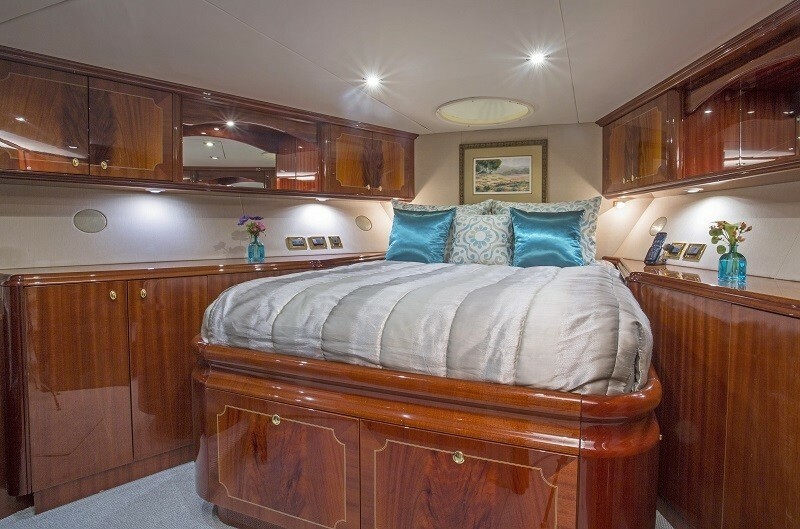 High gloss cherry toned woods and inlays are complimented by bespoke stylish furnishings. 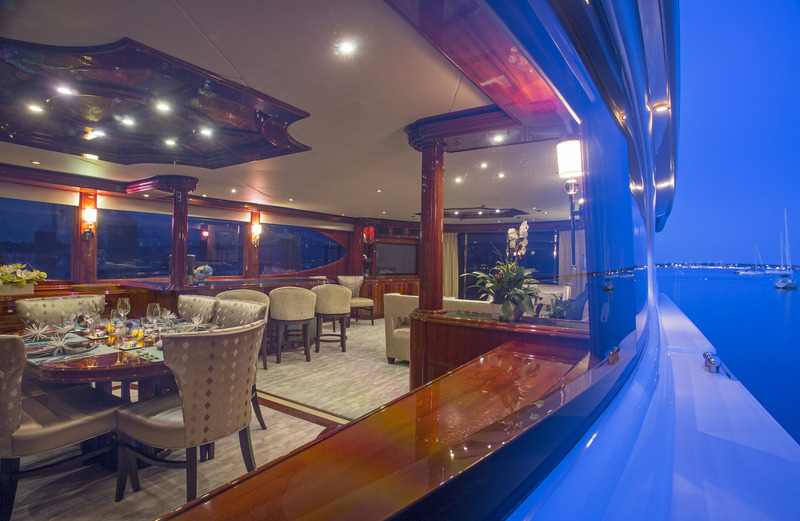 The main salon and dining area is set in a contemporary open plan, featuring a generous lounge aft and dining forward. 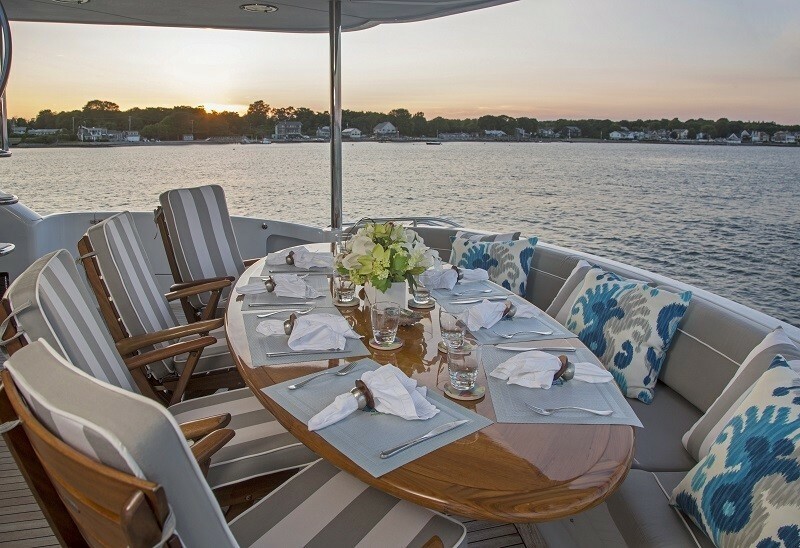 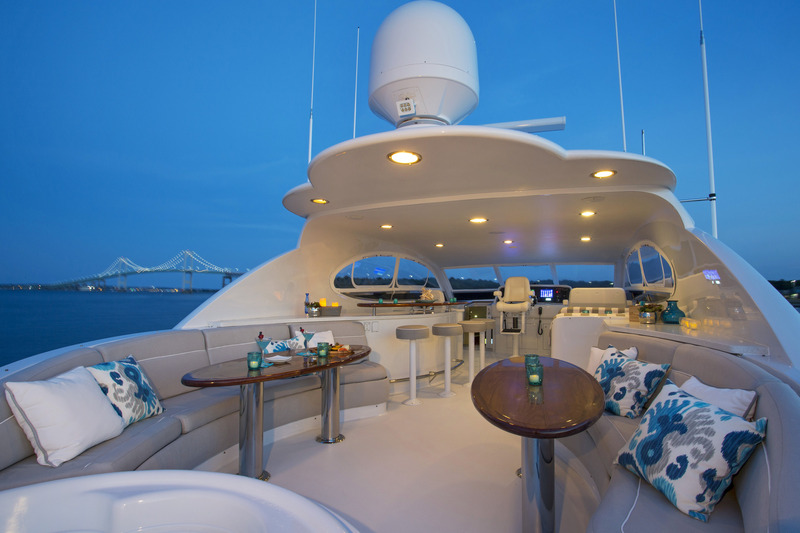 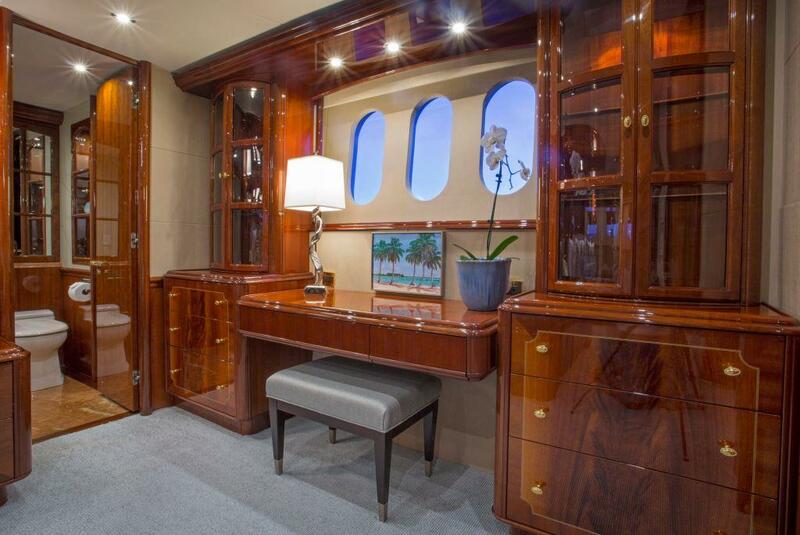 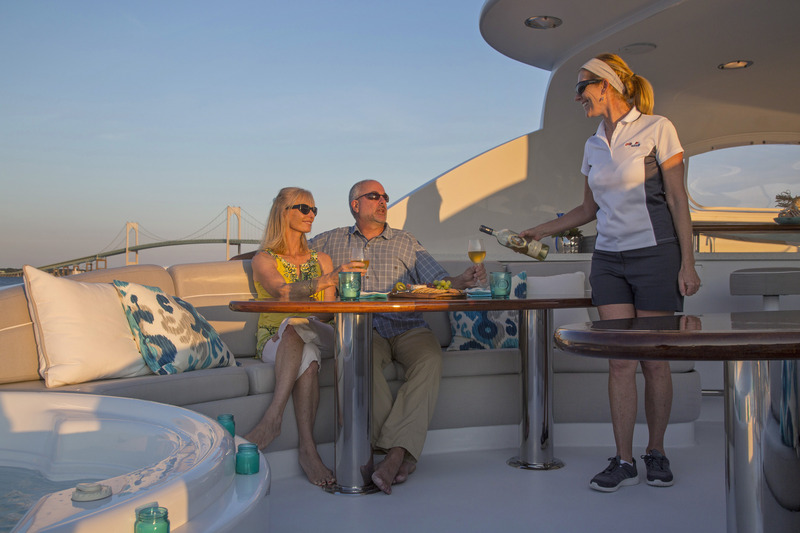 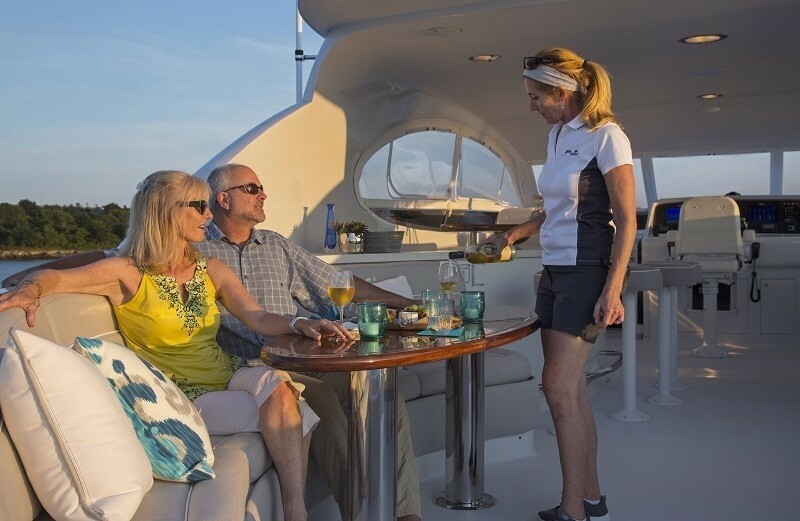 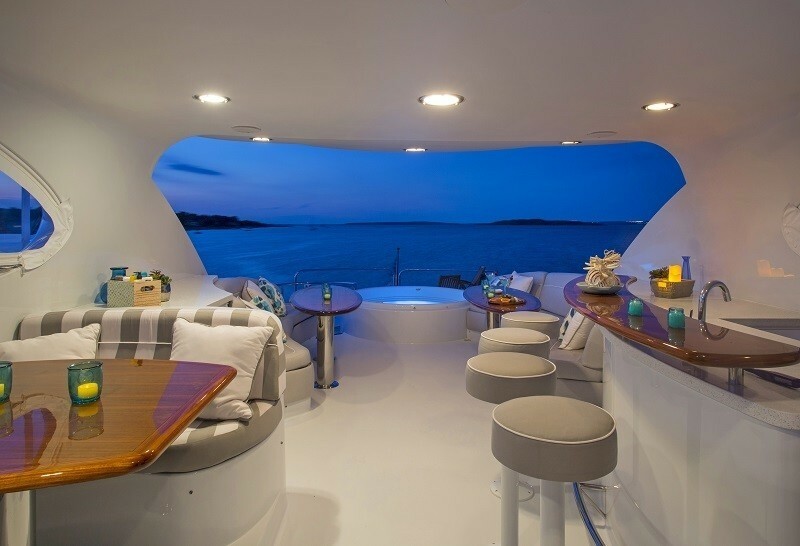 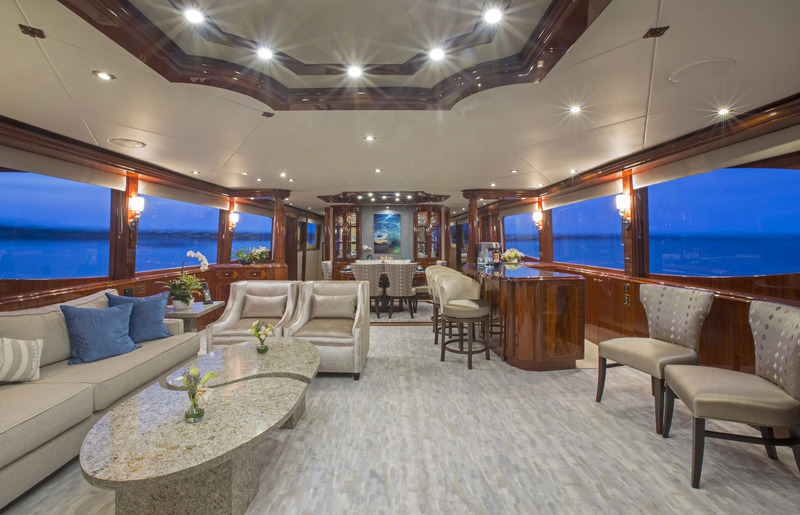 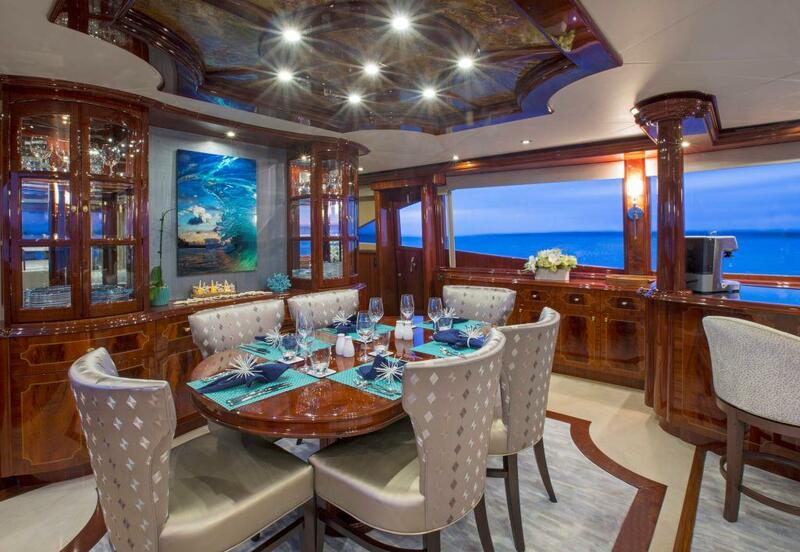 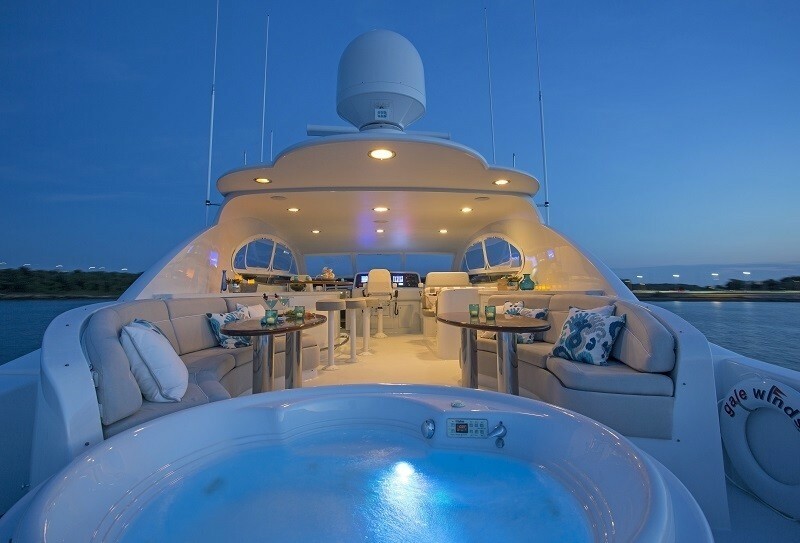 A wet bar on the starboard side is perfect for evening cocktails and entertaining. 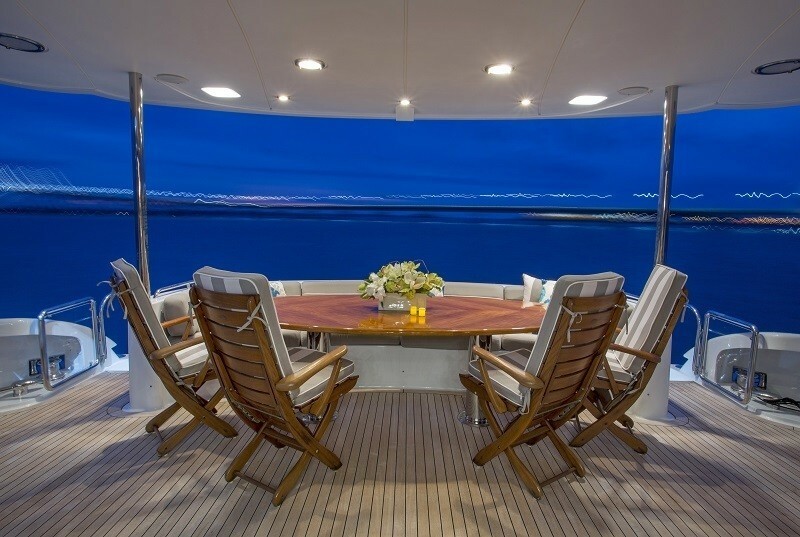 Thanks to elongated panoramic windows, the space receives good natural light and stunning views. 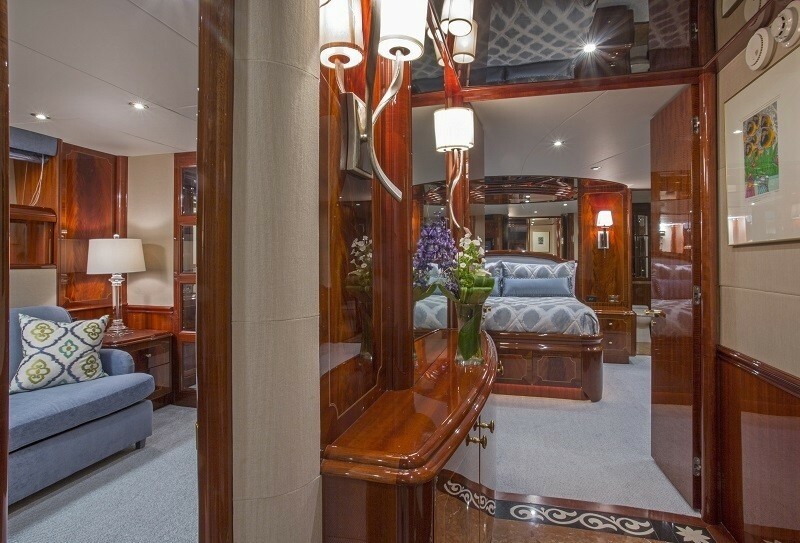 Accommodation is in 1 VIP cabin on the main deck forward, 1 master cabin on the lower deck aft and full beam of the yacht, 1 queen cabin and 1 convertible twin to double cabin. 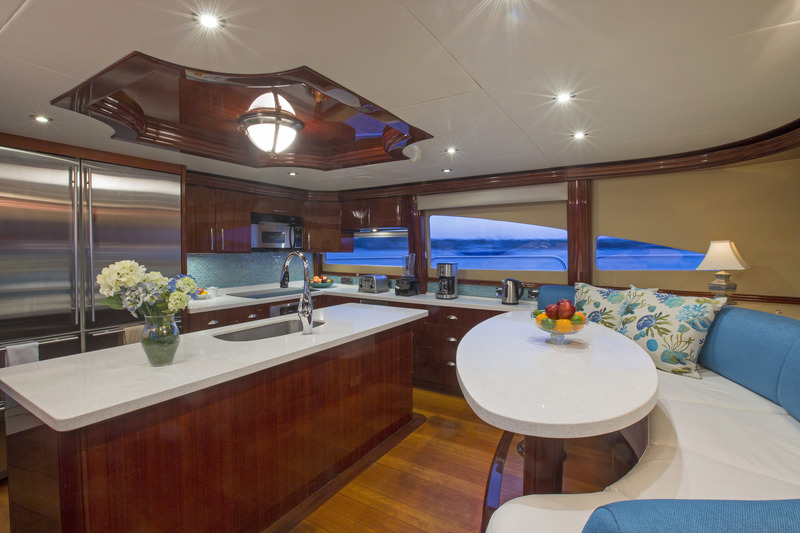 Exterior living is well-appointed on 2 levels. The aft deck is shaded and features an alfresco dining table and seating. 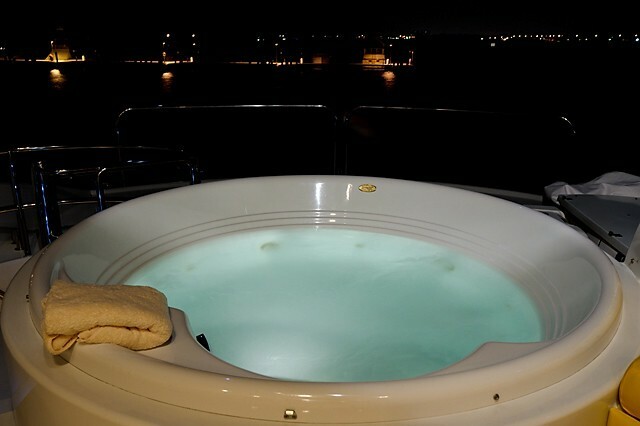 Further aft are port and starboard steps leading to the extended swim platform and water toys. 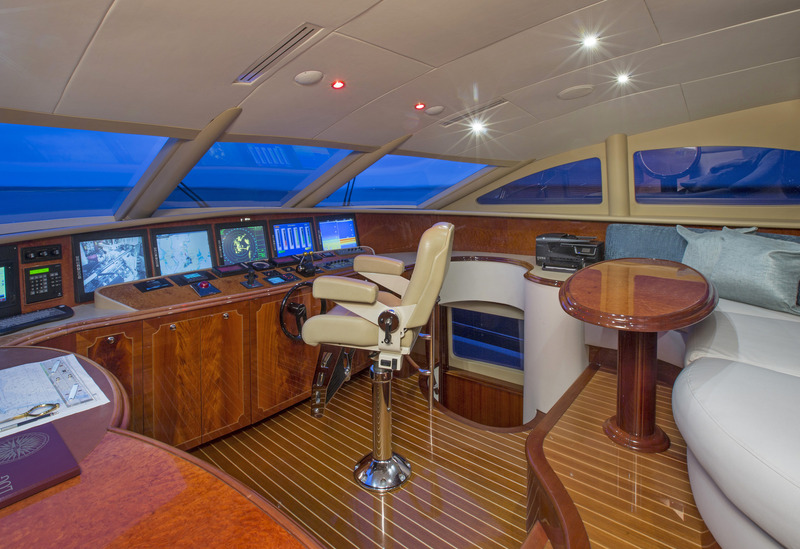 The main deck wraps around the yacht, giving easy access to the sunpad on the foredeck. 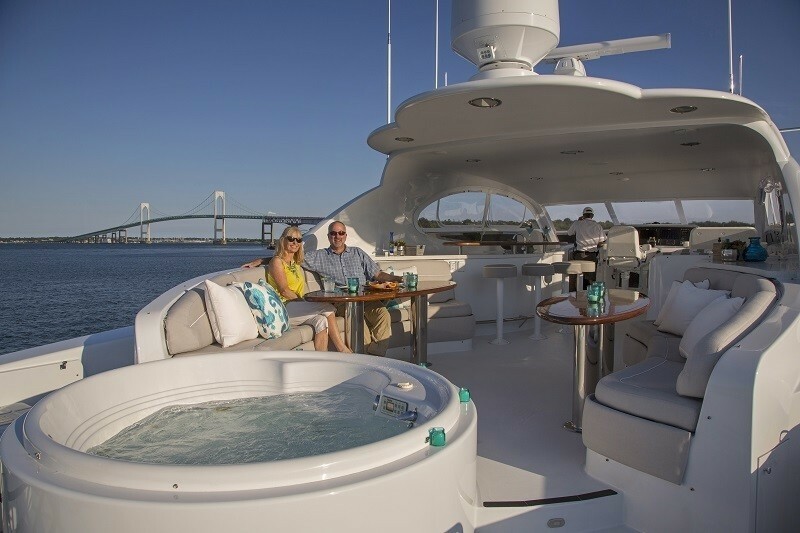 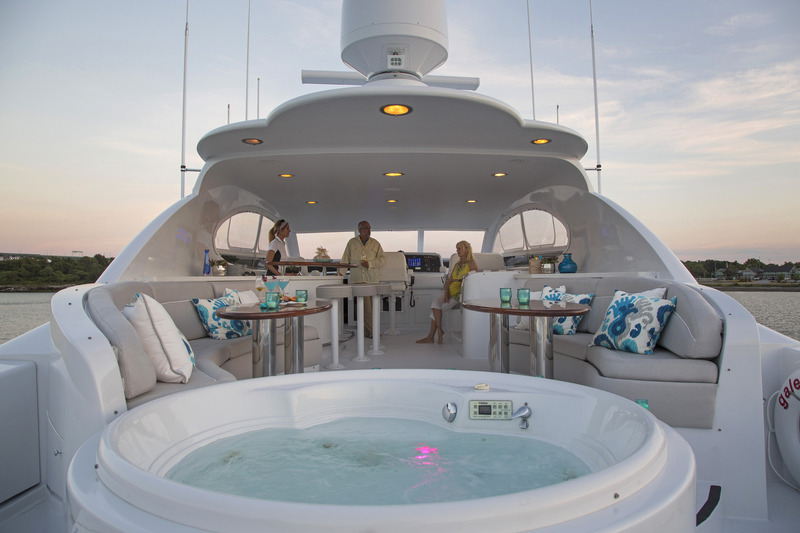 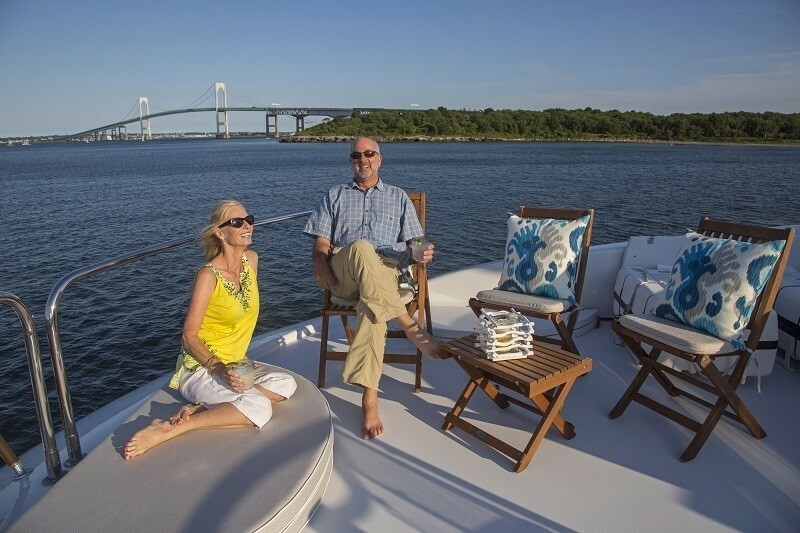 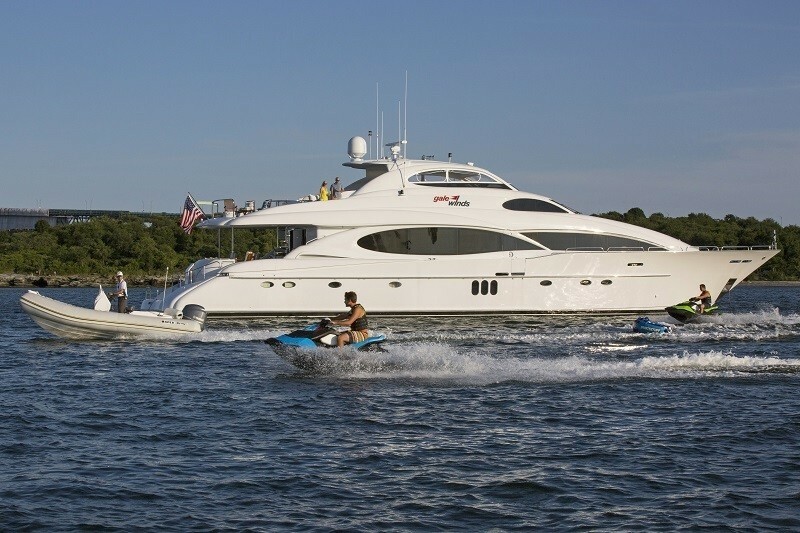 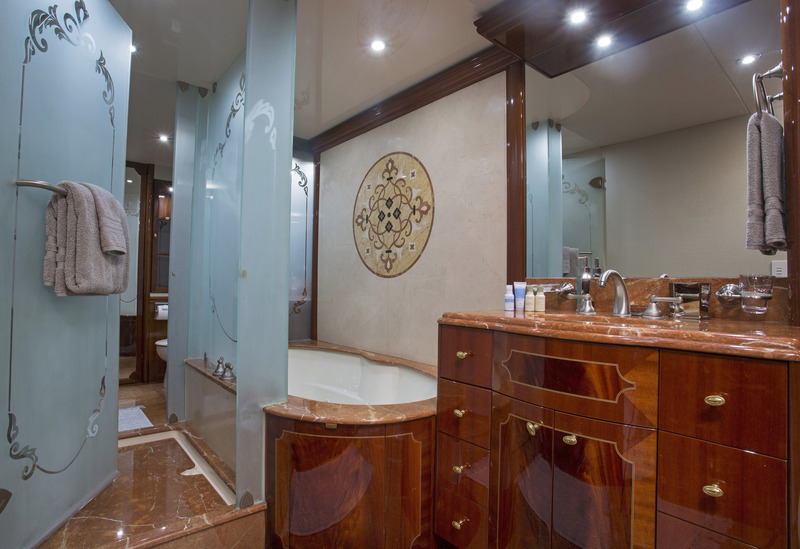 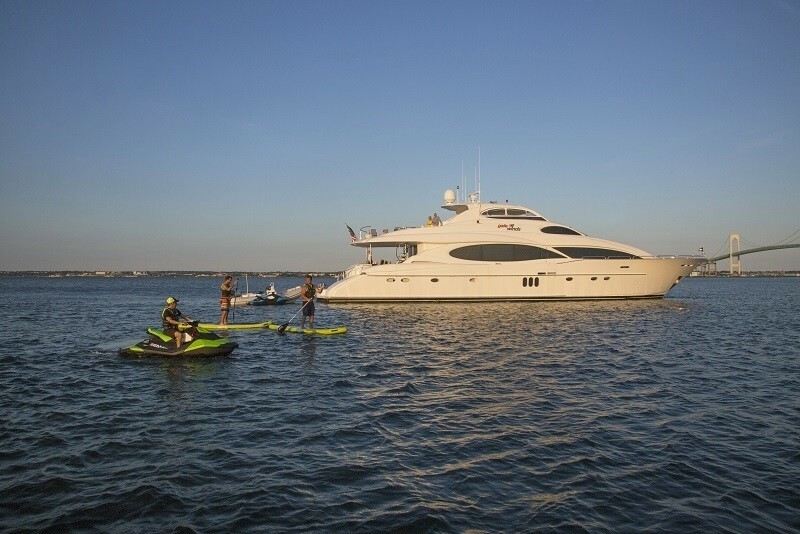 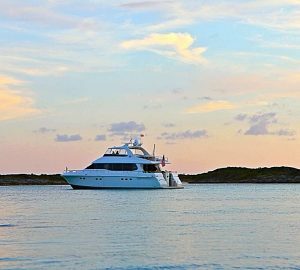 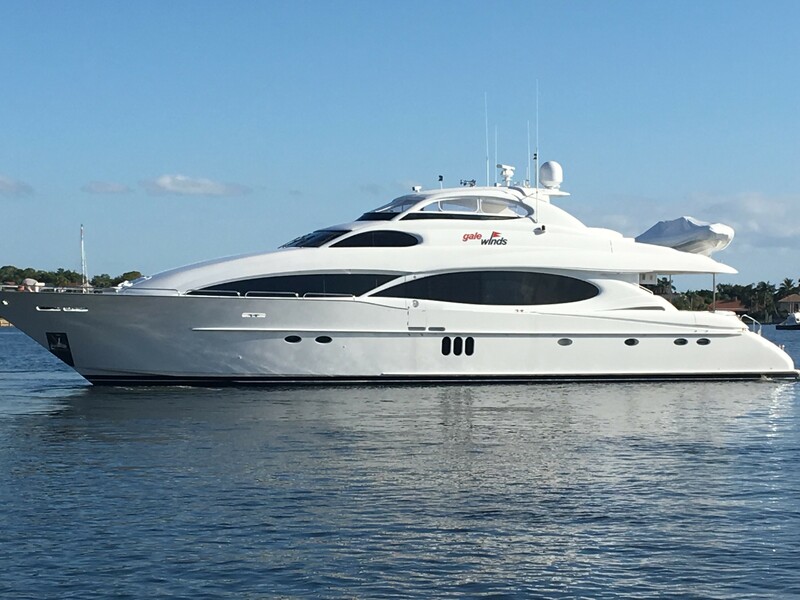 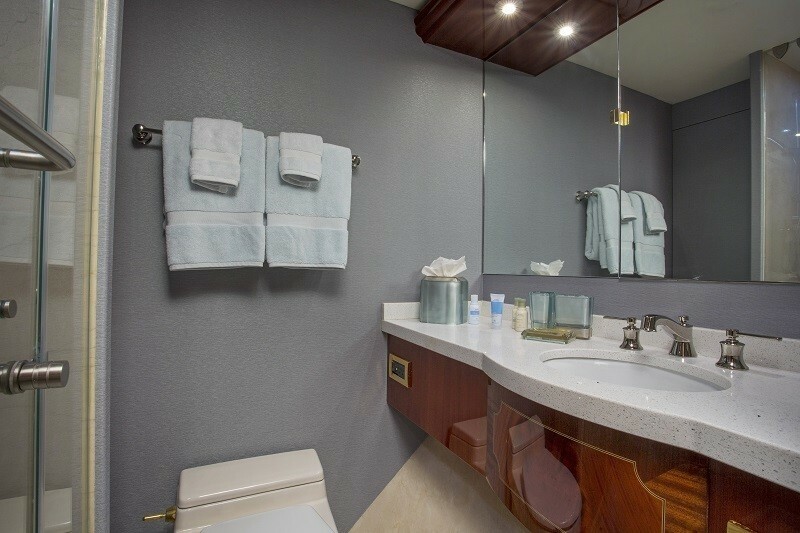 The yacht offers a spacious upper sundeck, complete with seating, bar, tables and deluxe Jacuzzi tub. 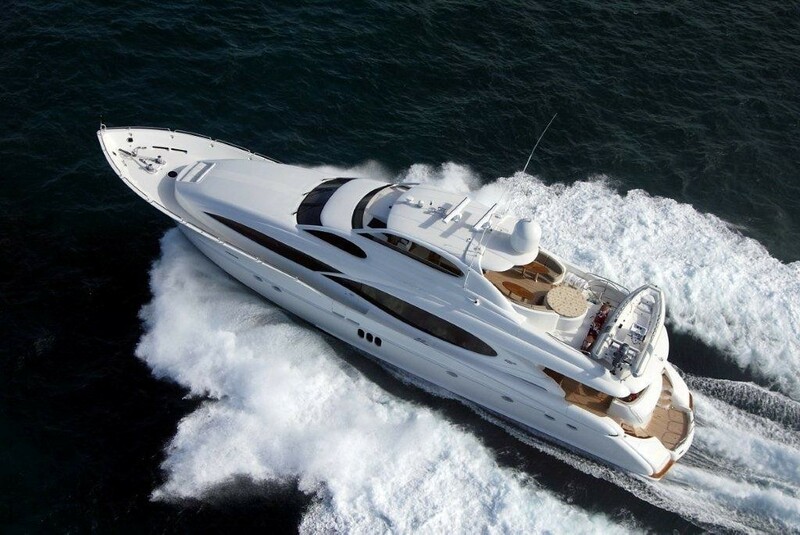 Motor yacht GALE WINDS is powered by MTU 2000 series engines, with speeds of 22 - 26 knots. 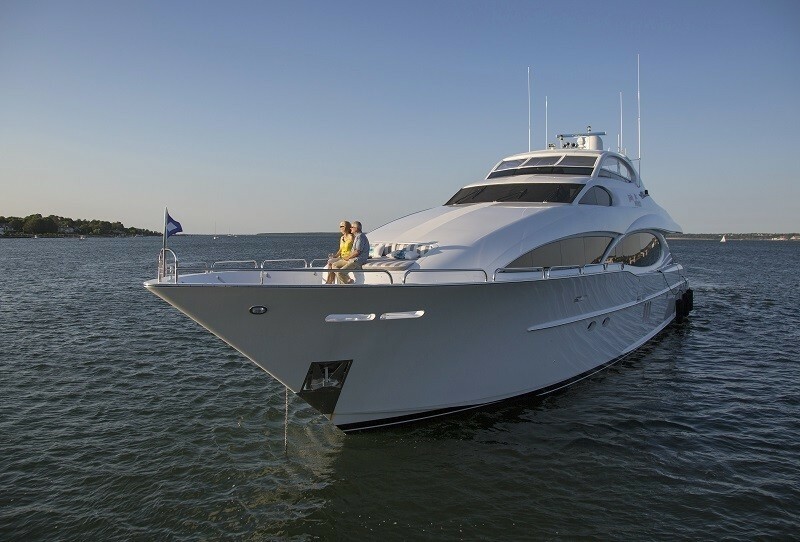 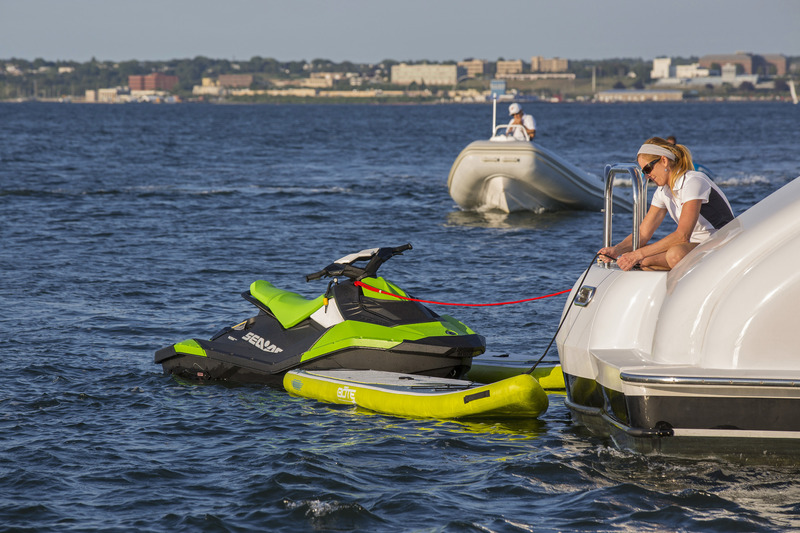 She is fitted with stabilizers at anchor and underway, optimizing onboard comfort. 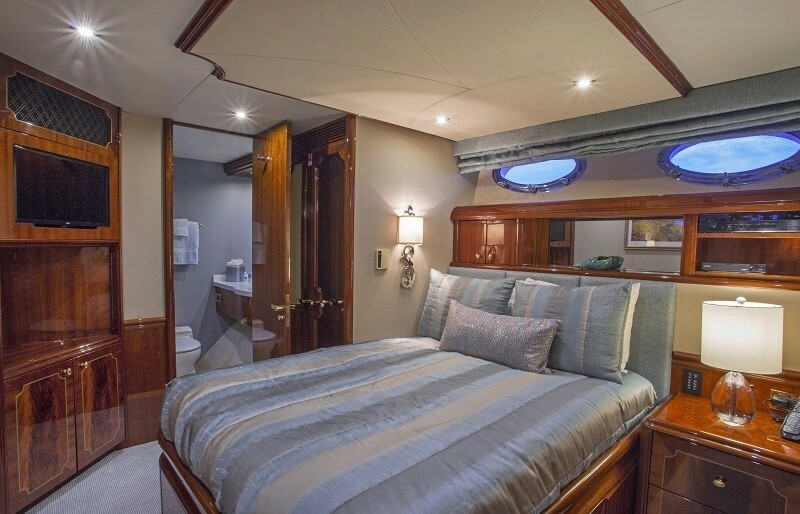 Accommodation is in 4 spacious cabins, each with private en-suite facilities. 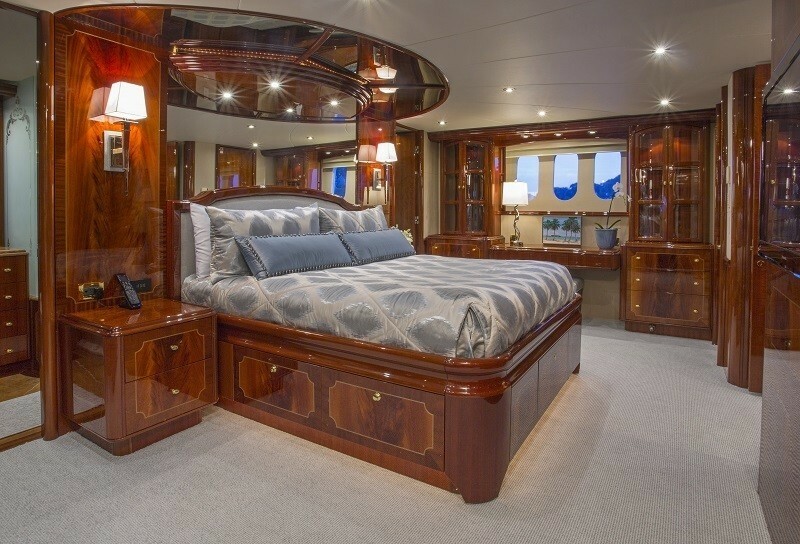 On the main deck is the VIP cabin, forward of the salon with a raised queen size bed. 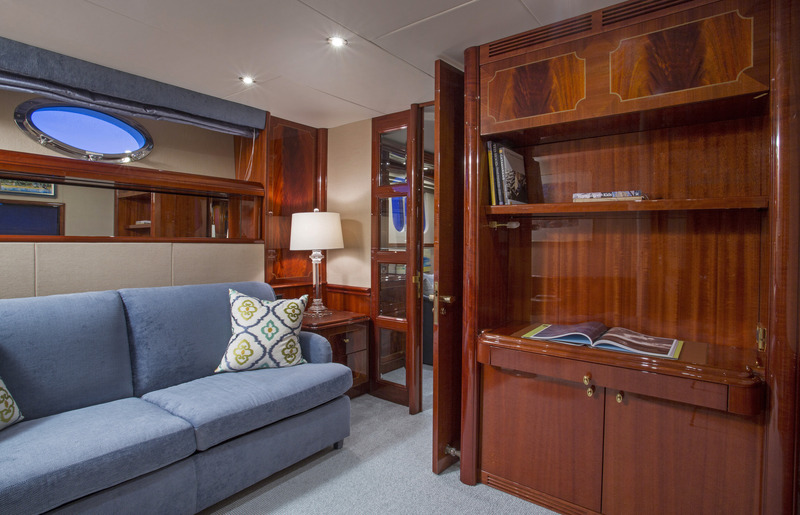 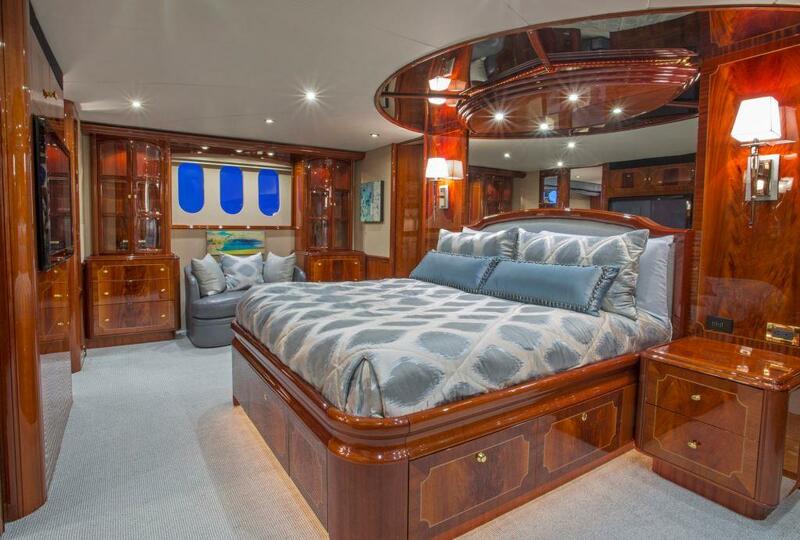 The master cabin is below decks and aft, with a full beam layout and king size bed, study and additional sleeper sofa. 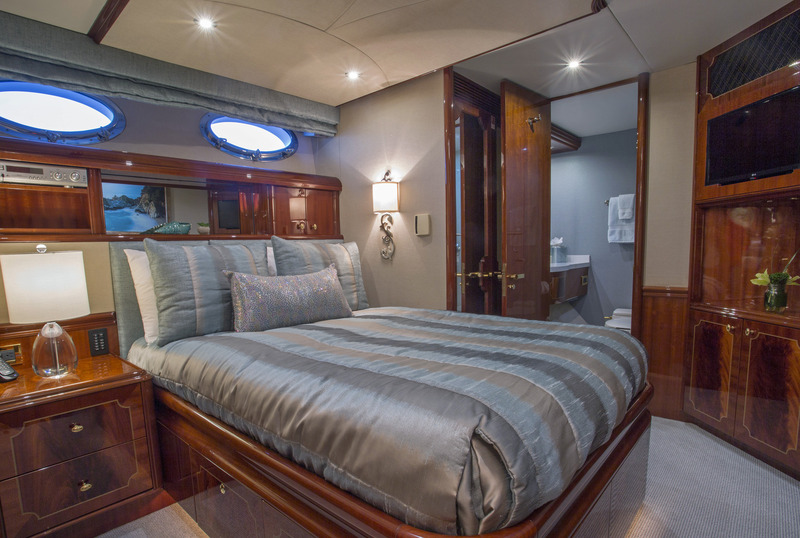 A further to guest cabins have queen size beds, one with the option to convert into a twin cabin.